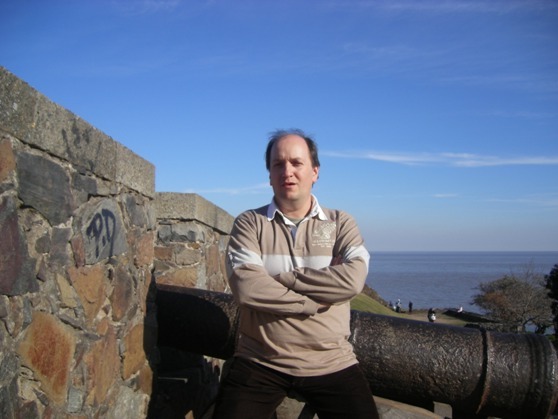 I was born in 1966 in Buenos Aires, Argentina. 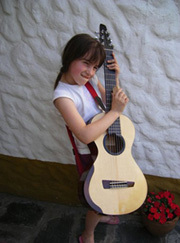 With a musical and technical background I started building a flamenco guitar for my own, with Rodolfo Cucculleli´s guide. What started as a hobby, evolved till it became my main activity. Today all my efforts are dedicated to lutherie and guitars. I've participated in several radio programs dedicated to the classical guitar, as a special guest and radio announcer also. ("Algo de Guitarra" and "Guitarra a la carta"). The activity for spread out the guitar and lutherie always took and takes an important place on my schedule, working as an educator (ad honorem), advising lutherie schools, free seminars in conservatories, universities, national and international tuition. In 2010 I published the guide book "La Guitarra Mágica" (The Magic Guitar) oriented for guitarists, luthiers amateurs and public in general. Today I'm still living in Buenos Aires with my wife Mariana and my daugther Martina. 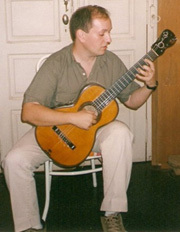 Ricardo Louzao testing an original romantic guitar from Pablo Hierro, 1998. ¡¡¡ Thanks a lot !! !